What is the Facebook Comments Plug In? 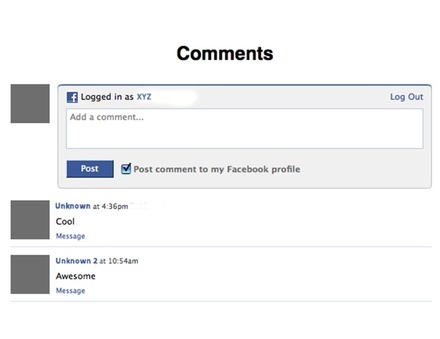 Facebook’s social plugin, Comments, allows you to quickly add comments to your website. Users not only have access to basic commenting abilities, they also have the option to cross-post their comments directly into their Facebook Timeline. Comment Administrators also gain access to a deeper stat-tracking system through Facebook Insights. While in the past the Comments box served merely as a static addition, it now has the capacity to provide direct communication between a website, a Facebook user, and all of his or her friends.